To participate in global economy expansion, investors need to invest in world stock mutual funds. These global stock funds are investing in various part of world such as developed countries (USA, UK, France, Germany, Italy, Singapore, etc), emerging markets or developing countries (Brazil, India, Indonesia, Russia, China, etc), and frontier markets (Nigeria, Serbia, Tunisia, etc). 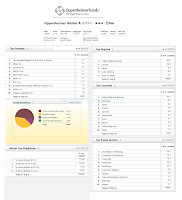 One of the popular world stock funds is Oppenheimer Global fund. 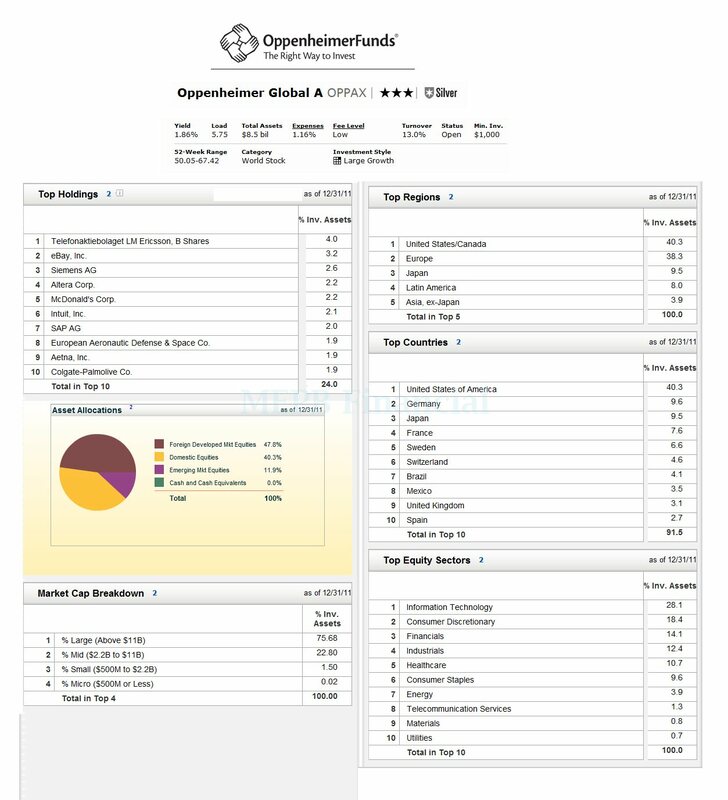 The Oppenheimer Global fund uses its assets to buy common stock of U.S. and foreign companies. It can invest without limit in foreign securities and can invest in any country, including countries with developing or emerging markets. The fund currently concentrates its investments in developed markets such as the United States, Western European countries and Japan. It may invest in any capitalization range, but mainly invests in mid- and large-cap companies. This Oppenheimer fund was first introduced to public in 1969. The current lead manager of this fund is Rajeev Bhaman. He started managing this fund since August 2004. This fund has total net assets of $8.06 billion. The annual expense ratio of this fund is 1.16%. This figure is comparable to the average in the World Stock category (1.45%). The minimum initial investment for this world stock fund is $1,000 for brokerage account and $500 for IRA account. Additional investment can be done in $50 increment. The 12b1 fee is 0.24% and there is 5.75% front-end sales load fee. This fund has few other classes, such as Class B (OGLBX), Class C (OGLCX), Class N (OGLNX), Class Y (OGLYX) and Class I (OGLIX). This fund is available for purchase from a wide range of 129 brokerages. They are JP Morgan, Vanguard, Scottrade Load, Merrill Lynch, Edward Jones, Schwab Institutional, E Trade Financial, Pershing Fund Center, etc. The top 10 holdings of this fund as of December 2011 are Telefonaktiebolaget LM Ericsson (4.0%), eBay Inc (3.2%), Siemes AG (2.6%), Altera Corp (2.2%), McDonald’s Corp (2.2%), Intuit Inc (2.1%), SAP AG (2.0%), European Aeronautic Defense & Space Co (1.9%), Aetna Inc (1.9%) and Colgate-Palmolive Co (1.9%). These top ten companies represent 24% from the total net assets. The top regions of this fund are United States/ Canada (40.3%), Europe (38.3%), Japan (9.5%), Latin America (8.0%) and Asia ex-Japan (3.9%). The top 5 countries are United States of America, Germany, Japan, France and Sweden. Investing in this mutual fund involve Principal Investment Risks. The risks are: Stock market risk, growth investing style risk, Foreign Investment risk, Developing and Emerging Markets risk, Mid-Sized Companies risk, Other Special Situations investment risk, Cyclical Opportunities risk, etc.